These vintage wooden slides are by Joseph. 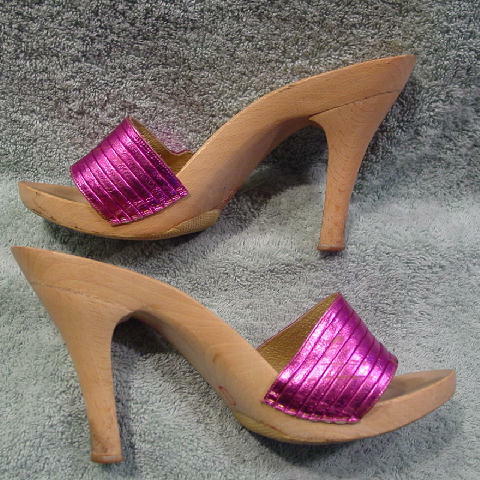 They have wide light magenta-pink straps, wooden footbeds and heels, and nonskid front soles, glued to the wood. 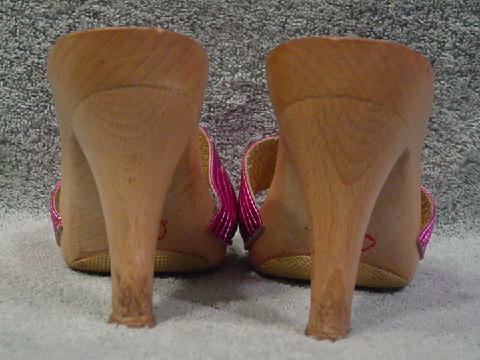 The very back bottoms of the heels have dark areas (from driving a stick shift sports car). The shoes are marked 38, but they fit like a size 7. The toe areas have some darkening. 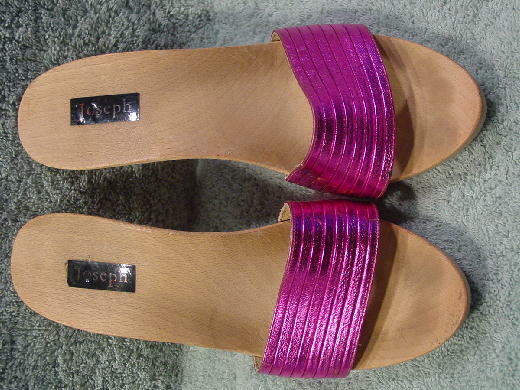 The left shoe's inner strap has some diagonal line marks.